Welcome to a place of comfort and convenience. 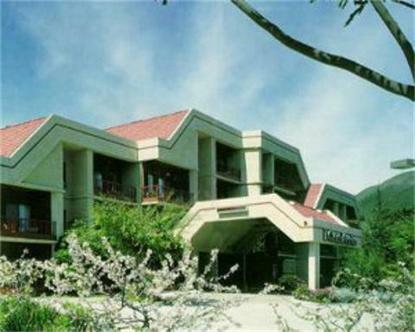 La Cuesta Inn is the perfect hotel for both leisure and business travelers. La Cuesta Inn is conveniently located within three quarters of a mile from the campus of Cal Poly State University, within one mile of the historic downtown San Luis Obispo, the Thursday night Farmers Market and the Mission De Tolosa. Experience the genuine warmth and hospitality that make the Central Coast of California the ultimate destination. Visit our nearby vineyards and award winning wineries, take a short drive to any one of our scenic beaches along the central coast, return to La Cuesta Inn where the friendly staff are eager to assist you to make your stay enjoyable and memorable. Our four-story building is smoke free with ample parking and elevators to make your stay more relaxing and comfortable.Relax in our tastefully appointed guest rooms offering breathtaking views of the Santa Lucia mountains. Our boutique hotel offers elegant rooms with your choice of either one king sized or queen sized bed or a room with two queen-sized beds. Some rooms are available with hearing impaired equipment. Accessible rooms have one king sized bed and there is one with a roll-in-shower.